Undercurrents productions show what happens beyond the few seconds glimpsed on the mainstream TV news. We follow grandmothers (Lancashire Nanas) as they team up with younger activists (Reclaim the Power) to shut down Cuadrilla's drilling sites. In Lancashire and Sussex trucks are occupied, drilling sites are blocked and supply chains are disrupted. Police are spending millions of pounds trying (and failing) to stop the daily protests. One man attempts to make a citizens arrest on the Prime Minister for allegedly misleading the public over this form of extreme energy extraction. 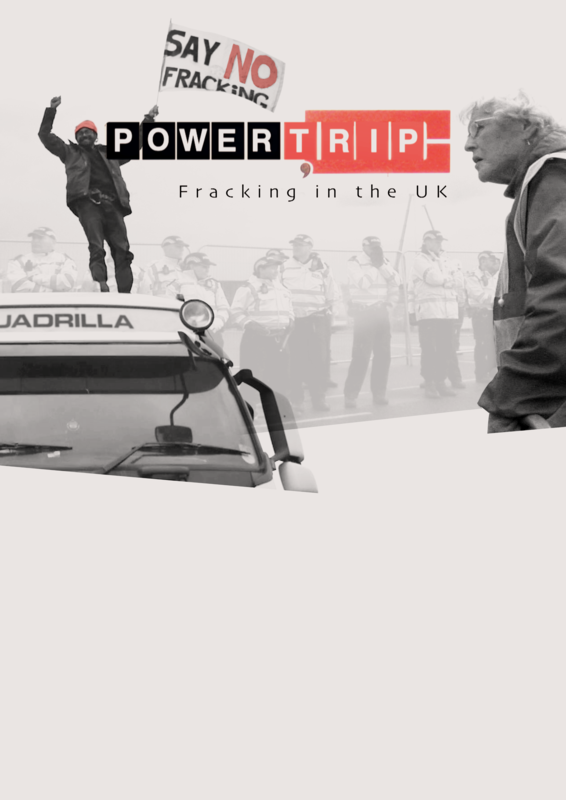 The film shows the truck surfing actions which led to the jailing of 3 people for protesting Fracking. We have resources to help you show Power Trip to your community. You can set up a showing in your community or publicise with our posters. 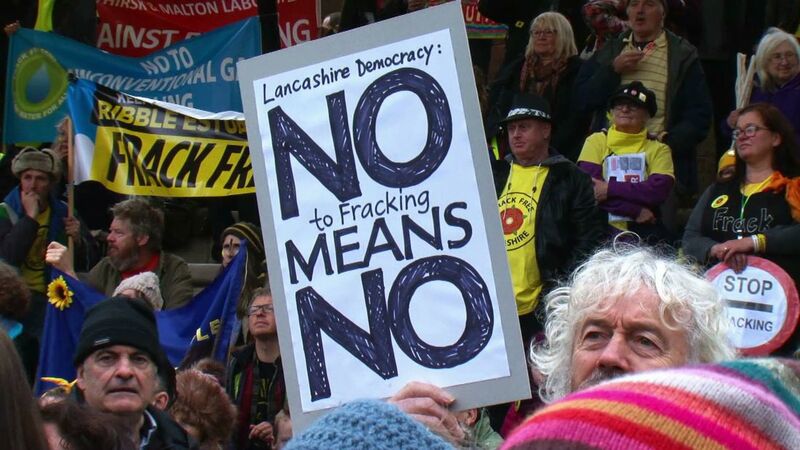 'Fracking' is a slang word for the process of injecting liquid at high pressure into subterranean rocks and shale to force open existing fissures to extract oil or gas"